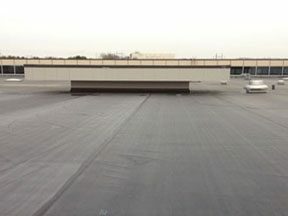 Our commercial flat roofs are constantly mistreated by the elements. From the sun, rain, hail, snow, ice, your roof never gets much of a break. This is why preventative maintenance is so important. If you can stay ahead of roof repairs your roof is more likely to reach its expected lifespan. If you own a property in Farmville, Virginia or the surrounding cities and towns, we would be happy to hear from you. 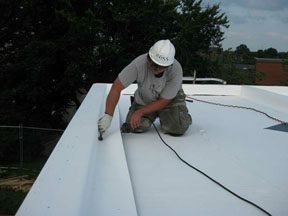 For your flat roof repairs, replacements or coatings we hope you’ll turn to Eric B. Mast Enterprises to help. Call us at (804) 357-8038. 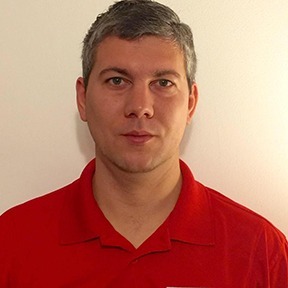 Leak Detection: Locating and isolating leaks is our forte! Our crew will trace out the source of your leak(s) and provide quick and long-lasting repairs to ensure that leak doesn’t deteriorate your entire roofing system. Inspection: Our roof inspection allows our technicians to customize premium roofing solutions that will improve your roofing system. Once work is complete our roof inspection is part of our quality control to ensure our services meet your expectations. Repair: Once necessary repairs have been determined, our crews will provide them in a timely and efficient manner. We’ll get your roofing problems corrected before they cause lasting harm to your roof. Coating: Some roofing systems are able to be coated. Coatings are applied directly to your existing roof and provide years of protection while saving you a large amount of money when compared to a total roof replacement. Replacement: The stress of commercial roof replacements is a thing of the past. Our crews work untiringly to provide you a new roof with the most minimal of disruption to your business. Maintenance: With our preventative maintenance schedule, we’ll keep you roof on the right rack by catching repairs before they cause extensive and costly damage. In some cases, a roof is past the point of repair and once it reaches this typically your best long-term solutions is to totally replace your roof. For some roofing assets we can provide necessary repairs and then treat your roof with a roof coating. This will give you a headache free roofing system for years to come. We will always thoroughly inspect your roof to determine the best course of action that suits your needs and your budget. Don’t hesitate to call us today – (804) 357-8038. We hope to hear from you soon!